BASF’s Coatings division has introduced a digital platform it calls AUROOM, which enables OEM designers to access a database of photo-realistic virtual car colours. BASF’s virtual colours capture all facets of automotive coatings including lightness flop, colour flop and sparkling. By mapping these colours on car models, OEM designers can virtually paint every colour proposal and gain realistic impressions of colours and effects on a complete car already in an early design phase. BASF says AUROOM will be a valuable tool for OEM designers to speed up and perfect the overall colour design process as they are no longer solely dependent on physical samples that need to be painted and shipped. AUROOM provides further innovative features like real-time side by side comparison of different colour shades of the same colour group to make the right colour decision easier. “Automotive coatings are highly complex colours with texture, colour position and surface defining the overall impression,” said Mark Gutjahr, head of Automotive Colour Design EMEA at BASF’s Coatings division. Working together with almost every car manufacturer on the market, BASF says it currently produces over 600 colours in Europe, with new colours constantly being designed. This large portfolio will now be scanned by cameras. The huge amount of appearance data generated during the scan is processed using a sophisticated mathematic model, while BASF’s colourimetric know-how contributes to ensure its authenticity. OEMs can then access the comprehensive colour data at the AUROOM platform and render it on different 3D shapes provided by the platform or CAD shapes of their own models. “Digitalisation is an important topic, especially in the automotive industry,” said Krzysztof Patryk Stolarzewicz, head of Global Strategic Marketing at BASF’s Coatings division. In the start-up phase, BASF says its virtual colour solution will first be introduced to OEMs in EMEA. In addition to the digital platform, the customers will have the chance to experience the technology at AUROOM’s “analogue twin” – a specially designed showroom at the Colour Design Studio Europe in Münster, Germany. To demonstrate the colours and effects in the most authentic way possible, BASF also developed special virtual 3-D car shapes. 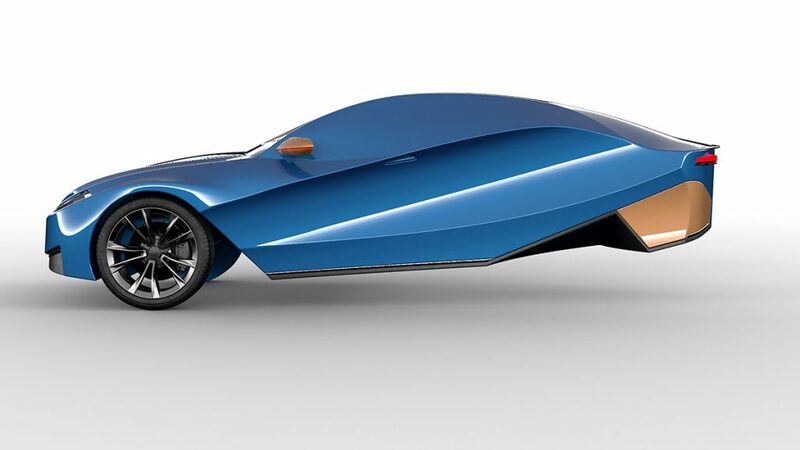 Like BASF’s iconic dome shape, the virtual shapes simulate various forms of a car body. In order to assess compatibility of colour with the overall design concept, OEM designers can choose shapes of different vehicle segments in AUROOM for colour visualisation.